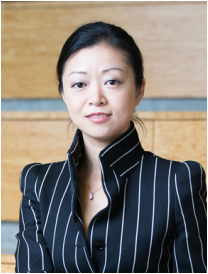 Peng Li is a seasoned patent attorney, with over a decade of practice experience in the area of intellectual property law. Her practice focuses on patent preparation and prosecution, patent strategy and portfolio development, IP/patent due diligence, product clearance search, freedom-to-operate (FTO) study, licensing and technology transactions. She also provides counseling on trademark, trade secret and copyright protection, patent invalidity and non-infringement opinions, and patent litigation support. Peng has represented companies in a diverse range of industries including computer software and hardware, consumer electronics (e.g., smart phones), wireless communications, semiconductors, e-commerce, multimedia and gaming applications, shipping and logistics, pharmaceutical and medical devices. Her representative clients range from multi-national corporations, such as Apple, UPS, Nokia and Yamaha, to small to medium companies, start-ups and individual inventors. Peng is a native speaker of Chinese Mandarin and travels to China frequently. She has been actively and diligently cultivating and enhancing Chinese companies’ IP awareness through periodic speeches and seminar series on patent laws and practice in the United States. Previously, Peng worked with a few top US law firms, including Morrison Foerster LLP, Paul Hastings LLP and Alston Bird LLP. She has also worked as IP counsel with a wireless communications company where she gained extensive experience and knowledge with various communication technology standards including 3GPP (GSM/UMTS), 3GPP2 (CDMA/CDMA2000), WiMAX/IEEE 802.16 and LTE. While working in-house, Peng assisted in establishing and implementing the company’s patent program and IP policies, reviewed IP-related terms in business negotiations, and handled trademark, trade secret and copyright issues in daily operations. Peng graduated from Vanderbilt University Law School in 2003, with a JD (Juris Doctor) degree. She is admitted in the California Bar, and registered to practice before the US Patent and Trademark Office (USPTO).